As first reported by RunBlogRun early Friday morning, the world’s top female marathoner, Rita Jeptoo of Kenya, failed an out-of-competition drug test in late September. Her A sample tested positive for a banned substance that the AFP is reporting is EPO; Jeptoo has not had a B sample tested yet. Jeptoo is supposed to be in New York this weekend to receive the largest prize in the sport of running, $500,000, as champion of the 2013-14 World Marathon Majors series. Jeptoo clinched the title by winning the Boston and Chicago Marathons in both 2013 and 2014 — her most recent Chicago crown, in October, came after the reported positive drug test was taken. Instead, it appears that Jeptoo is still in Kenya and will not travel over to New York at all. 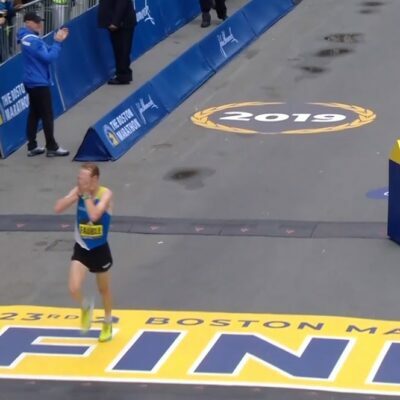 The World Marathon Majors announced this morning that the award ceremony for Jeptoo and the male champion (yet to be determined), originally scheduled for Sunday, has been postponed. If Jeptoo is stripped of her title, Edna Kiplagat, set to run in New York on Sunday, would move up to first. WMM issued a statement on the matter Friday morning, in which WMM General Counsel Nick Bitel said, “WMM has always held a stern line on drugs cheats and has been proactively supporting the sports governing bodies to ensure the integrity of the athletes competing in their races. Cheats need to understand that they are not welcome in our sport and that they will be caught.” The statement also asserted that any athlete found guilty of a doping offense will not be invited back to a WMM event. What Type of Positive Are We Looking At? 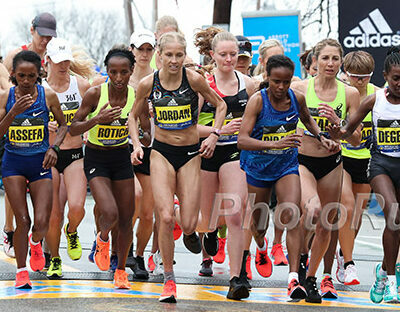 The key issue yet to be determined is what did Jeptoo test positive for. We’ve long felt there is a MONUMENTAL difference between stimulants, which can be result of contaminated supplements, and hard-core, intentional doping with the likes of big performance boosters like EPO and testosterone. Testing positive for a stimulant, which sometimes warrants just a warning or three month ban, shouldn’t necessarily preclude someone from WMM participation. Intentional doping with steoroids/EPO is something we believe should result in a lifetime ban. Announcing an A sample positive test, without revealing the substance, is far from ideal. With the WMM ceremony scheduled for Sunday, we sort of understand the leaking of the A sample positive but aren’t thrilled the full details haven’t been revealed. AFP is reporting the positive is for EPO. 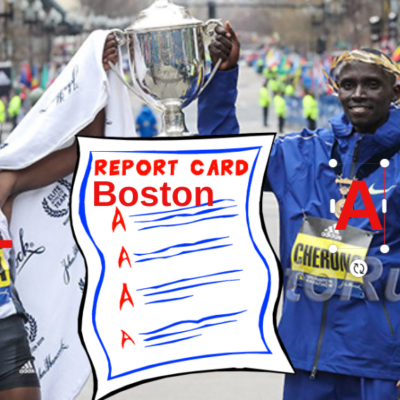 The A sample news makes one go back and look more critically at Jeptoo’s career. 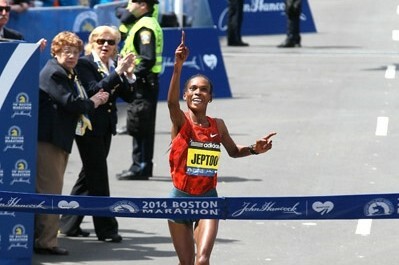 Jeptoo’s recent improvement relatively late in her career has been phenomenal. 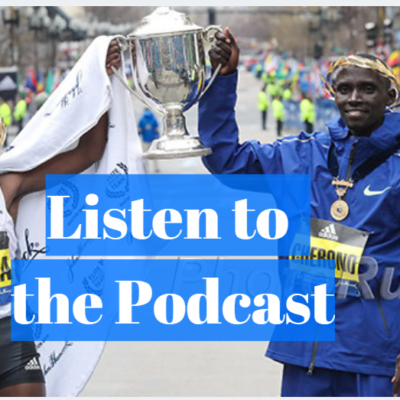 Jeptoo won the Boston Marathon in 2006 but after that win, Jeptoo didn’t run faster than 2:25 until the 2012 Chicago Marathon, where she finished second in 2:22:04. During that time, Jeptoo won zero majors. Now it needs to be pointed out that she didn’t race at all in 2009 or 2010 as she was out on maternity leave. Now at age 33, Jeptoo seems unbeatable as she has knocked big chunks of time off her PR in each of the last three years and won both Boston and Chicago in 2013 and 2014. It’s not uncommon for a runner to improve rapidly in the marathon, but it is for someone like Jeptoo, who turned to the marathon at age 21. Now, 10 years later, Jeptoo is finishing a year in which she broke the Boston course record by 1:46. 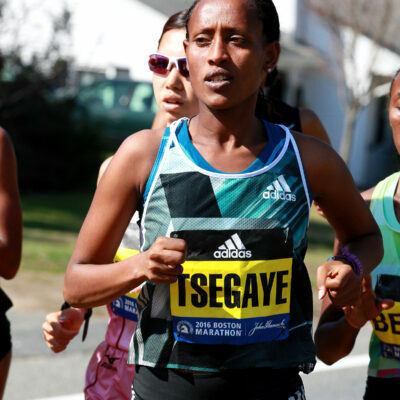 Her recent improvement, ascending to the world’s dominant figure in the marathon after several years of being a good-but-not great marathoner, does not prove that she was doping, but it doesn’t exactly refute the claim either. Did she just become fully dedicated after becoming a mother? Or was she illegally doing things to help her run faster? Jeptoo is coached by Italian Claudio Berardelli, who also coaches, among others, defending NYC champ Priscah Jeptoo, 2014 London Marathon runner-up Stanley Biwott, and 800 meter world champions Eunice Sum and Janeth Jepkosgei. 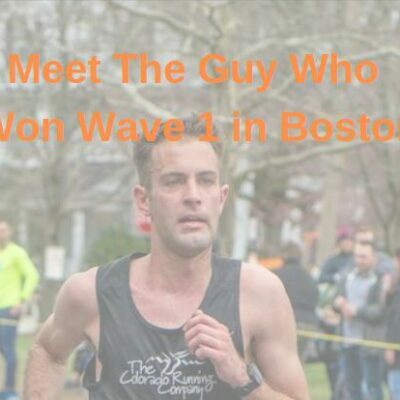 Berardelli also was the coach of Kenyan half-marathon ace, Matthew Kisorio, who tested positive for a steroid in 2012, and later admitted to German journalists he was encouraged to dope by his doctor. We will be heading to more New York City Marathon press conferences today and will update you on anything we discover there.